This corner unit with views of the intracoastal. 2/2 – 1353 Sqft, Spacious, bright, and full of natural light. Great floor plan , large walk in closet, 1 park + 24 valet and concierge, resort style pool, fitness center. 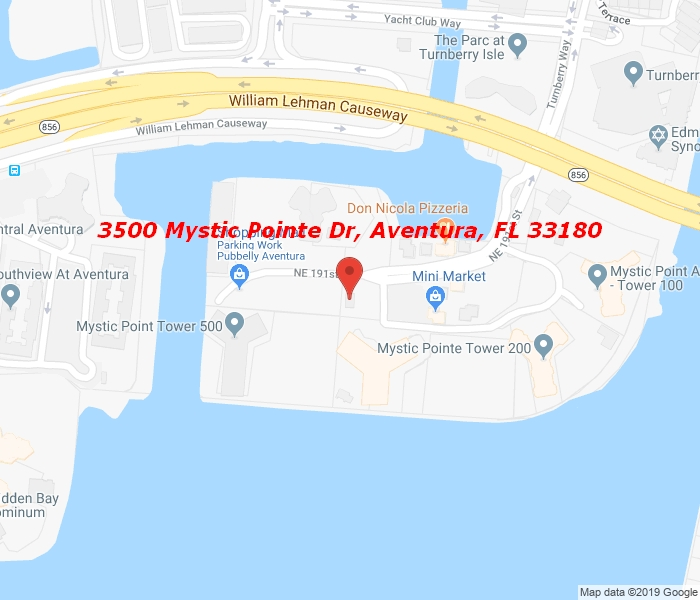 Mystic Pointe is located minutes from the Aventura Mall, Sunny Isles Beach, and walking distance from house of worship. The exclusive Turnberry golf course is just minutes away. Great schools in the city of Aventura. For showings, and information read remarks.